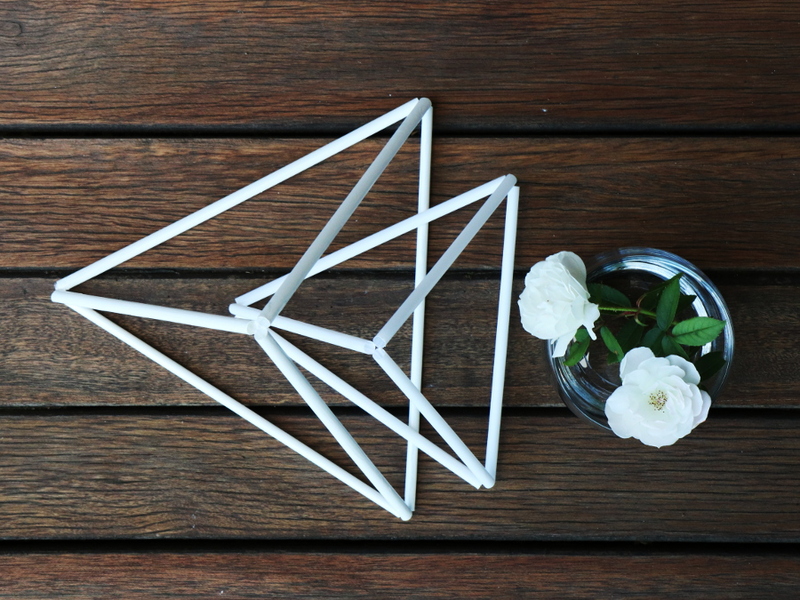 We were recently commissioned to create a set of these geometric shape pieces as table decor for an event company. 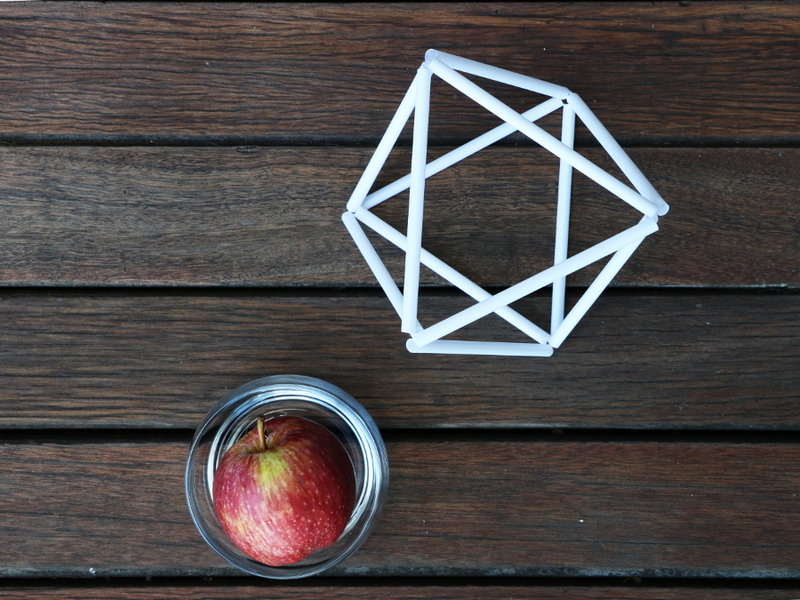 We enjoyed making them, and now, as a result are delighted to add these polyhedron objects to our portfolio. 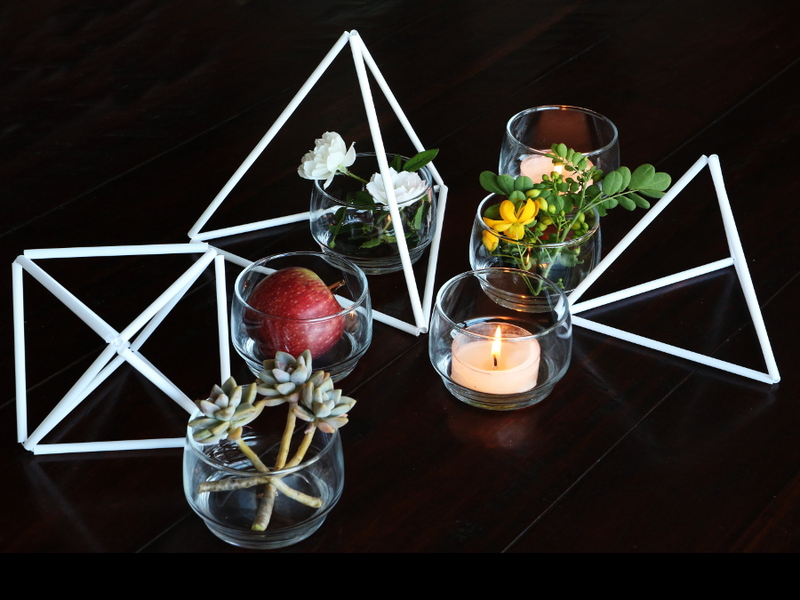 Before I packed them into a box, I quickly snapped some table decor options with a few of them. I love how they add a light modern feel to a rustic setting. 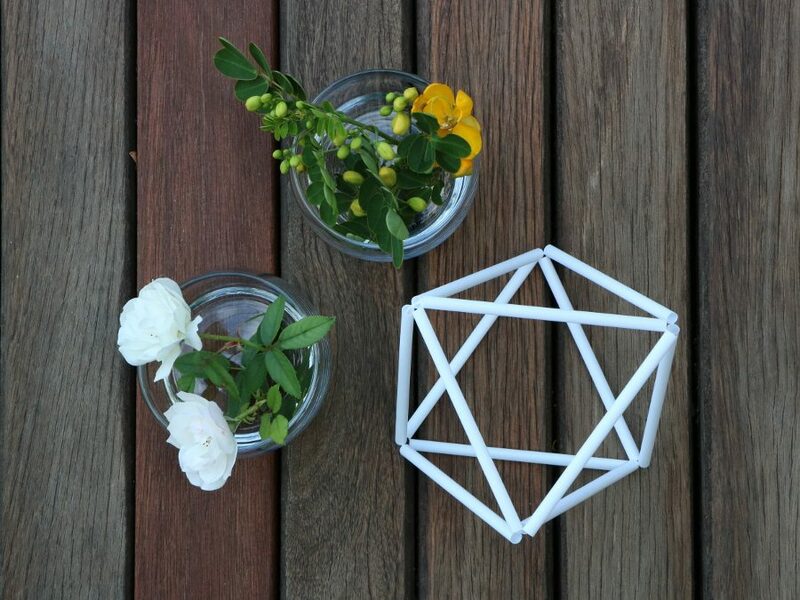 These geo-shapes are inspired by the decorative Finnish Ornaments known as Himmeli. They are traditionally created from tubes or reeds and are hung as mobile decor during the holiday season. We love to make all sorts of floral and other paper products. 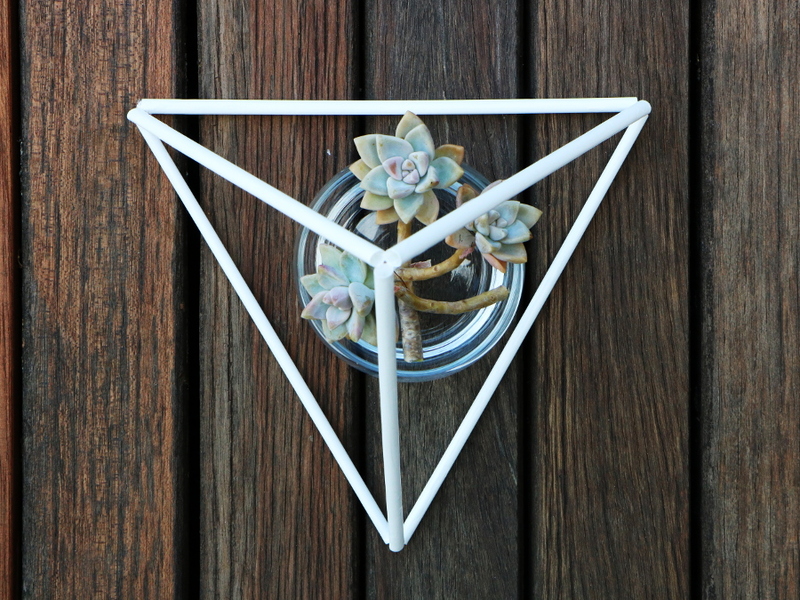 See some Geometric Shapes we recently created or visit our Paper Products Section.